Yeah, like I was going to let this pass. 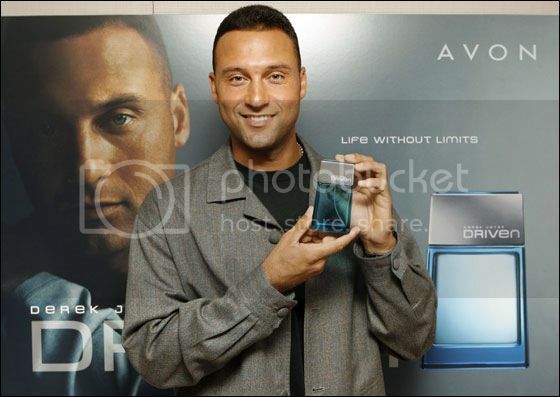 "I have been very involved with creating this fragrance -- everything from the blend of scents to the design of the bottle and logo," Jeter said in the news release. " . . . I wanted to make sure the final product was something men would like to wear - and that women and A-Rod would want them to wear. " The fragrance is a blend of chilled grapefruit, clean oak moss, spice, and Ken Huckaby's cold blood. Oh, all right . . . I made up that Huckaby part. And Jeter may not have mentioned A-Rod in that last quote there. * Jeter came up with this because he just couldn't take the stench anymore - he had to do something to make Yankees fans smell better. * A-Rod doesn't care how pretty it smells, he's still Jean Nate man. * Giambi wants to try it out, but he's waiting for it to come out in an injectible form. * Poor Joe Buck. You just know McCarver is going to bathe in this stuff. 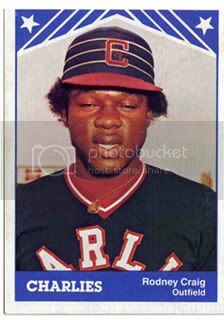 * Early test samples singed the forest of hair in Joe Torre's nose. Firefighters from three boroughs were required to douse the flames. * Even when it stinks on occasion, Yankees fans will refuse to acknowledge as much. * Jeter originally wanted to name it after his uniform number, but quickly realized "No. 2" isn't a very good name for a fragrance. * Cory Lidle digs it so much, he uses it as an ice cream topping. * And finally, from reader Kevin B.: "Am I wrong in assuming it comes with a patented fist-pump dispenser?"